In a previous article, I identified the common interests of China and Pakistan and proposed a ‘Common Interests Initiative’ for intellectual property rights (IPR) protection under in relation to the China Pakistan Economic Corridor (CPEC). We shall now further explore the opportunities of collaboration in terms of IPRs under CPEC. There are at least five-to-six areas where Pakistan and China can extend collaborations with respect to protection of IPRs while CPEC ensues. These collaborations can be extended in the industrial, legal (and judicial), educational, cultural and enforcement spheres. In the industrial sphere, the two countries have the opportunity to take some more practical steps for the protection of IPRs. Pakistan’s industry is sure to benefit from the knowledge spillovers and technology transfers which would (hopefully) come with CPEC. However, China also needs to ensure that its IPRs are protected (irrespective of them belonging to state-owned multinational enterprises). The industrial collaboration could be between the MNEs that are investing and the relevant governmental/regulatory bodies, for instance, it could be between the investing Chinese state-owned MNE (for optic fibre project included in CPEC) and the Pakistan Telecommunication Authority (PTA). In the strict sense, this would be an investment and not a mere collaboration. And being an investment, both the investor and the host would be willing to execute legal documents to get the best out of the arrangement. Such arrangement is devoid of simplicity and needs to have its complexities analysed briefly. – Schlender, Buffett and Gates, 1998. This shows that protection becomes a secondary issue once it is determined that it will be your technology which will become the market’s need. This compromise is, however, affordable only in the case of firms as big as Microsoft, Intel, etc. Small and medium-sized enterprises (SMEs), which considerably outnumber large firms, may view the violations of IPRs as impediments in their integration into the industry. The absence of enforcement impedes growth and deters FDI to an extent. However, the persistent desire of China to invest in Pakistan may also trigger the signing of some collaboration agreements which are focused on protecting the IPRs, thus increasing the confidence of the investing MNEs. Similarly, more investment opportunities and other factors might mitigate the risks embedded within the weak IPR regime of Pakistan and make it a secondary matter only. It must be borne in mind that CPEC is the flagship project of the One Belt One Road Initiative (OBOR) and is one of the several corridors part of the Initiative. It could eventually determine the success of the entire Initiative and could be used by China as a ‘test case’. CPEC could actually provide China with a chance to identify the types of IP regimes in the countries along the OBOR as the diversity in nations along the OBOR is tremendous. However, the economic indicators of most OBOR nations located in Asia are often similar and the case of IPRs among OBOR countries is also similar. Thus, China can benefit from the fact that nations in which IPR regimes are frail and largely ineffective are usually located in a specific region, often in each other’s neighbourhood. These ‘groups’ or ‘regions’ can be treated by China as categories in order to devise protocols or standards to deal with every country in the context of which ‘group’ or ‘region’ that particular country falls in. China will reportedly be sharing expertise with Pakistan in the agriculture sector. There are plans for establishing new laboratories for developing more resistant and robust seeds as well. Genetic resources and plant breeders’ rights are IP related concepts encountered in agriculture sector. Thus, their intersections with traditional knowledge and patents may require the two countries to reassess the significance of IPRs. Pakistan could serve as a template since most developing countries with agriculture dependent economies and frail IP regimes (exhibiting traits similar to Pakistan) are spread across the OBOR map. In a similar way, there is scope for collaboration in the legal sphere between the two countries. This collaboration can have two components, judicial collaboration and collaboration between lawyers and academics. There are already some publications which have examined the different legal systems of OBOR nations and how the investing MNEs can better protect their rights in the OBOR countries. The region consists of very disparate legal systems. The legal community across the globe has excitedly responded to the OBOR Initiative. In the context of CPEC, the legal community from both stakeholder nations can create synergies. Despite the unwavering friendship between China and Pakistan, there exist language and knowledge gaps between the two nations and the acutely different languages of the two nations compound the knowledge gap. Chinese law has evolved a lot since the 1970s. The outside world merely observed as it happened and the drivers of the change were rarely approached to share their perspectives. The judicial system of Pakistan has a lot to improve on as well. In the context of IPRs, although the establishment of IP Tribunals has been a positive step under IPO Act 2012, the lack of requirement of specialist judges is one serious deficiency out of many that exist in this law. The deficiency is justified as well as there are hardly any expert IP lawyers or trained judges in Pakistan. Chinese judiciary has developed advanced jurisprudence with respect to IPRs and has developed competence which can go toe-to-toe with the finest judiciaries in the world. The Chinese judicial system has taken a step further by introducing the concept of ‘Guiding Cases’ in its judicial system. These Guiding Cases play a role similar to judicial precedent (with minor differences). A collaboration between the Chinese judiciary and Stanford Law School conceived the China Guiding Cases Project, which consequently trained judges as well. This came as a novelty in the civil law jurisdiction where the concept of judicial precedent was hitherto non-existent. Judicial collaborations are not anomalies, rather they are the norm. In the context of CPEC and particularly in the context IPRs, the Chinese judiciary and legal fraternity and their Pakistani counterparts can extend collaboration while Chinese judges can share their interpretative wisdom on how to manoeuvre the evolving concepts of IPRs. Should there be an IP-specific or IP-friendly procedural law to be followed for IP cases by IP Tribunals? What about the appeal from an IP Tribunal to higher courts? Will the need of specially trained judges cease to exist in such situations? Which IP violations are better treated as criminal offences? One can make propositions here but a more informed approach would be to seek enlightenment from the country that has addressed the same issues and curbed the menace effectively. Investment law has also resulted in some changes in the recent past. 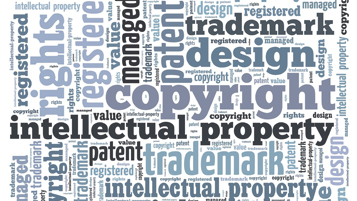 Many MNEs classify intellectual property as a form of ‘investment’ in agreements. IPRs, according to some, have transitioned from the trade regime to the investment regime. It is yet to be seen whether the state of affairs in Pakistan will push China to seek the Investor-State Dispute Settlement (ISDS) mechanism or whether China will seize the opportunity and push for a more state-friendly and balanced alternative to ISDS. IPRs can never be adequately respected unless there is strict enforcement and widespread awareness about them. In the wake of CPEC, the two countries are poised in such a way that they can collaborate at academic levels to advance the awareness of IPRs. In this context, specific subjects, courses, degree programs, diploma programs and scholarships, etc. can be introduced which will create IPR awareness. IPR related courses are merely given a cursory glance in the Pakistani legal studies institutes whereas doctorate degrees in IP are being awarded by some of the best universities in China. The Chinese judiciary, wary of the significance of research in IP, took a commendable step when it named specific universities and institutes as research centres for IP. The experts in those institutes educate and train the students in IP rigorously and assist the courts in complex cases. Despite the prevalent notion that China is an IP-infringing nation, no country in the world can resist doing business in China. And China, too, did not take comfort in the fact that it had an irresistible and huge market, rather, it revisited its laws and revised them, took proactive steps to align itself with World Trade Organization (WTO) standards, overhauled its IP regime and invested in IP education. All this has only benefited China, with investor trust rising in the nation. OBOR will naturally make many diverse cultures meet, potentially lead to a more pluralistic world and hopefully swing us towards higher levels of tolerance. However, at the same time, there are risks associated with such cultural exchanges, with one dominant culture having more influence and consequently altering a subculture, or resulting in cultural appropriation. Therefore, when cultures are at such crossroads, their protection becomes imperative. Take the example of the famous truck-art of Pakistan. Trucks in Pakistan are often decorated and painted in a unique way, which has often been recognised as the identity of Pakistani trucks and attributed to the country’s culture. If Chinese trucks start getting the same makeover, it may be qualified as some as cultural appropriation, especially when ‘traditional knowledge’ and ‘folklore’ are recognised and protectable IPs. Both China and Pakistan have multiplicity of cultures and cultural values. Both countries can collaborate and chisel out a robust mechanism through which they can protect and promote their respective cultures, while enhancing cultural exchanges simultaneously. As mentioned above, the adequate protection of IPRs depends heavily on their enforcement. Although the Federal Investigation Agency of Pakistan (FIA) has recently taken steps to invigorate the spirit of IPRs, there is still room for much stricter implementation. Enforcement agencies including the FIA and other relevant authorities could gain from the expertise which China has acquired in the field of IPRs over the years. In the past, officials of FIA and the Intellectual Property Organisation of Pakistan (IPO) have received trainings from the Office of the United States Trade Representative (USTR). In future, Pakistan should explore the option of seeking Chinese assistance and expertise as well. The Pakistani premier has recently stated that Pakistan can learn from the success story of China with respect to combating corruption and eliminating poverty. The two countries could form a joint body with special investigative and enforcement powers for more targeted actions against counterfeit and fake goods. If there is indeed scope for such a joint body, then talks on a free-trade agreement (FTA) could provide the doorway for that. However, it must be realised that IPR infringement is not just related to the movement of pirated goods across the borders of the two countries, it extends to the production, manufacturing, marketing and packaging of such commodities as well. One of the areas in which the two countries have already started collaborating is e-commerce. The Alibaba Group has vast experience in the field and possesses elite e-commerce infrastructure. It is also effectively operating the Pakistani e-commerce platform Daraz. Alibaba’s Chinese e-commerce app Taobao used to be a platform for trading pirated goods. Similar issues are likely to emerge in Daraz as well. If Alibaba applies its advanced technologies and capabilities in the case of Daraz as well then Pakistan will benefit from the resulting technology transfer and knowledge spillover. China may also enter the digital banking/e-banking sector of Pakistan or assist to develop it from scratch for its neighbourly friend. The possible collaboration in banking, business, energy and other commercial sectors may trigger further opportunities for the two nations to further strengthen their respective IPR regimes.